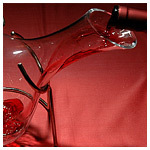 A complete package organised to spend 3 days in Tuscany and visit lovely and usual places of our region, but also to have a unique and unrepeatable enogastronomical course. 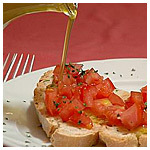 - Tasting of olive oils and typical Tuscan wines with crostini, cheeses, honey and cold meats. IN THE MORNING: Transfer service from airport or station of Pisa or Florence. Keys and access to apartment. IN THE AFTERNOON: visit Garzoni Gardens and Butterfly House. Informal dinner in the historical centre of Pescia. Everyone in the kitchen! Cooking school with an exceptional chef! Spend the morning learning cooking techniques and how to flavour, with suggestions and secrets to make every dish special. The course will be headed by a professional chef, inside the kitchen of a noted restaurant a few metres from the apartments. Learn how to present a delicious antipasto, roll out home-made pasta, or perfectly cook a "Fiorentina steak". After the course everyone seated at the table to taste the dishes. Tour of the “road of Wine” at Montecarlo in Lucca, with visit to the antique medieval village with an attractive castle, grocers with typical produce and terrace with panoramic view of the plains of Lucca and Montecatini Terme. Wine tasting with samples of wines, Tuscan olive oil, typical Tuscan cold meats, honey and cheeses, accompanied by our sommelier. Our second class hands-on cooking session. Transfer to the airport or station for Florence or Pisa for your next destination. 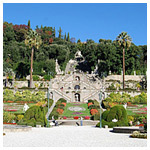 - Visit Garzoni Garden, Collodi Butterfly House in Collodi far 5 km. Parking: free 50 mt from apartments.